You want to travel the world, BUT you’re a South African. Armed with the green mamba passport and a junk status currency, it seems like an expensive dream and a trip to Cape Town once a year will have to satisfy your wanderlust. Well, the good news is that you’re wrong. I’ve been travelling on a budget as a South African for three years, and it’s possible to see a lot without earning a ton of moola. And with some destinations, it’s even cheaper than a 2-week holiday to the Mother City. So prepare your credit cards (you gotta swipe for those free miles). Get your suitcases out of storage. It’s time to put in some leave and explore the world. 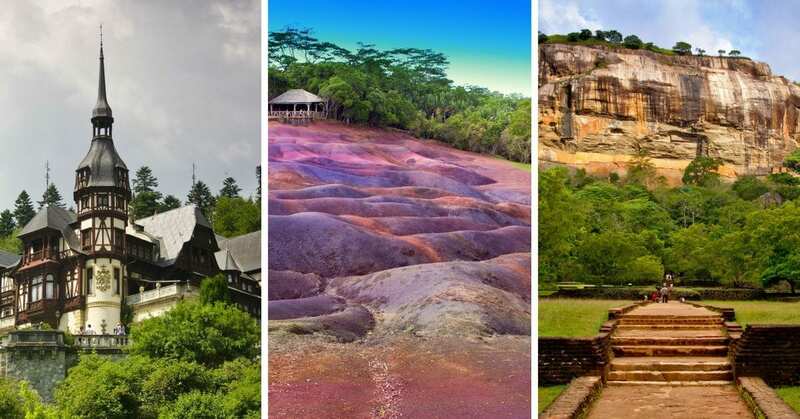 Here are the best cheap rand-friendly destinations for South Africans! 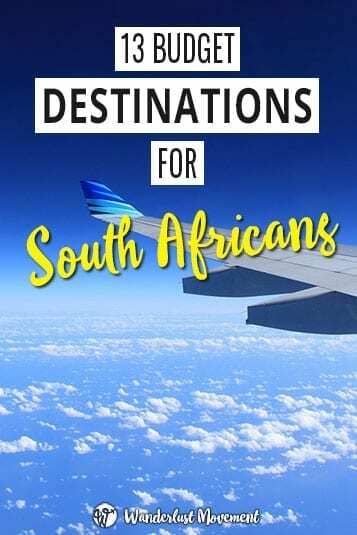 Before you give your credit card some much-needed love, you need to know how to find cheap flights from South Africa. My favourite website to use is Skyscanner. It’s one of the few flight comparison websites that lets you set your final destination to “everywhere”, and you can search the cheapest flights for a particular month. Skyscanner also has a “cheapest month of the year” search function. It’s perfect if you have your heart set on one destination and want to see which month is the cheapest time to visit. If you want a more flight hacking tips, I’ve written an entire post about my 9 step process. Home to “the greatest wildlife show on Earth”, Kenya is an iconic African destination. It’s also one of the most affordable rand-friendly destinations for South Africans. I found a return ticket on Skyscanner for R 3,500 with Ethiopian Airlines. I’d recommend signing up for flight deal alerts with Ethiopian Airlines. The airline is much cheaper than your Emirates or Etihad, and they have a ton of new routes planned. The flight time from South Africa is also shorter and while it’s not as “bougie” you’ll have more money to spend at your final destination. 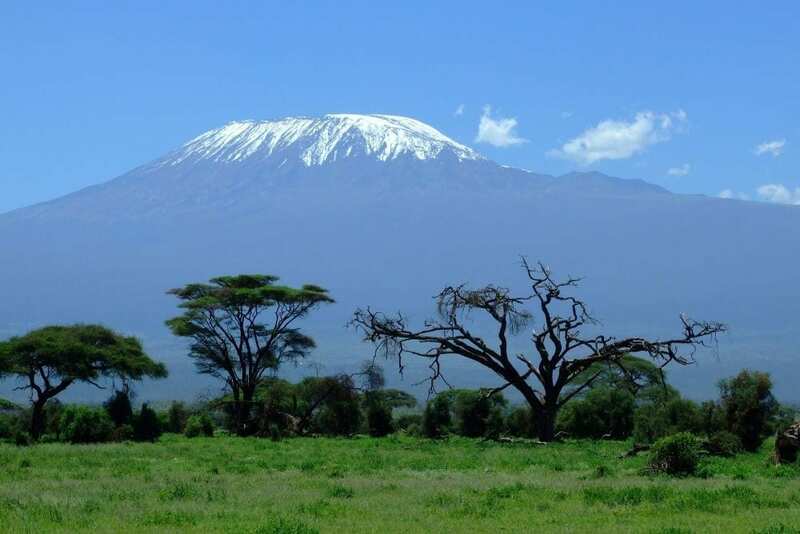 When I say Mount Kilimanjaro do you only think Kenya? 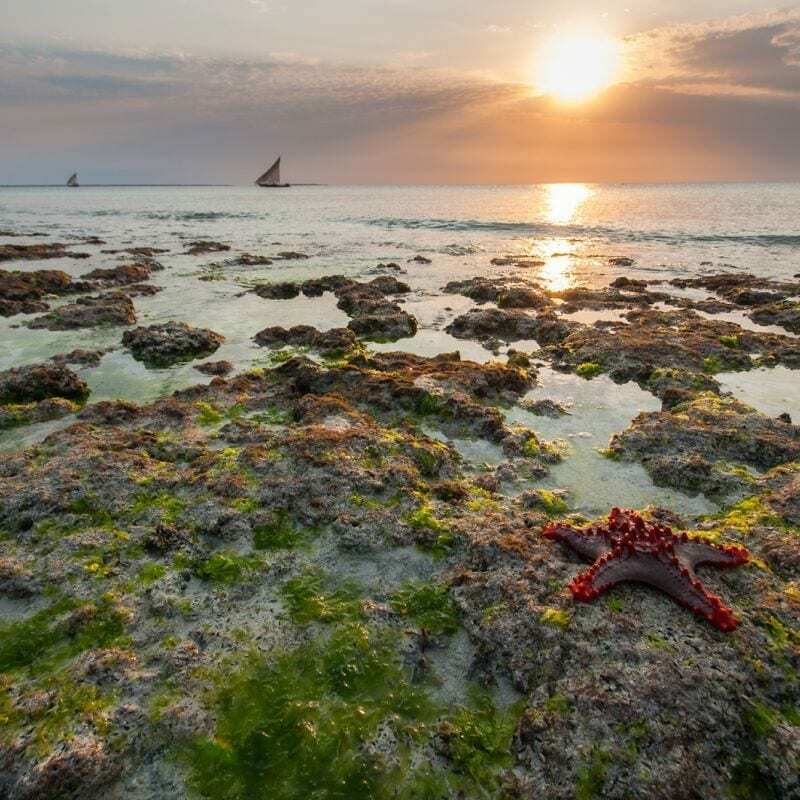 Tanzania is the other half of this natural world wonder that boasts breath-taking landscape, picturesque beaches and is teething with wildlife. Known for its exceptional safari lodges, hot air balloon rides and Zanzibar, it’s the perfect destination for adventurous South Africans. But you don’t need a lot of money to explore Tanzania. Depending on the time of year, you can pick up return flights from Johannesburg from R 3000.00. With USD used for most of the prices, saving on flights makes this East African country an excellent choice for price-sensitive South Africans. You know you’re onto a good thing when a band starts singing about a destination. Our neighbouring country is one of the most rand-friendly destinations for South Africans. During my trip in 2015, I managed a 10-day trip including activities for just under R 6000! This attractive price point means adventure enthusiasts don’t have to count pennies to fill their days exploring the thriving coral reefs, scuba diving with whale sharks or sea kayaking to nearby islands. However, flights from South Africa to Mozambique are notoriously ridiculous. If you don’t want to spend over R 4000.00 on return flights, travel to Moz overland. A return ticket with Intercape from Johannesburg to Maputo cost me R 690.00. What is it about island getaways that captivate our restless feet so much? There is just something so alluring about relaxing on a gorgeous beach, chasing the sun and your only worry being your tan lines. Mauritius’ mountainous terrain offers some insane hiking with Le Morne Brabant reaching an elevation of 500m! Challenging bicycle routes will have your glutes burning in no time while you cycle past waterfalls and groups of Aldabra tortoises. So how much is a trip to paradise going to set you back? 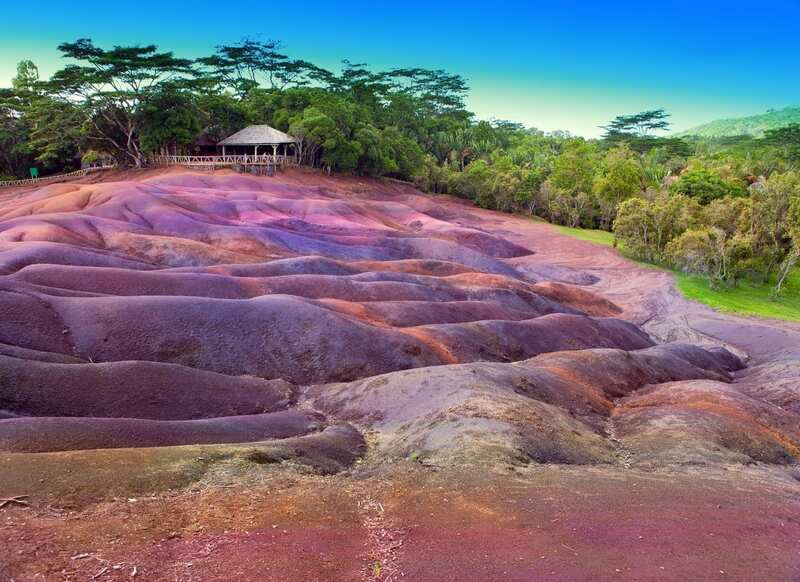 Mauritius is one of the cheapest rand-friendly destinations for South Africans looking for an island holiday. Return flights from Cape Town and Johannesburg are often between R 4,500 – R5,000 if you’re flexible with your dates. These deals are usually found during Mauritius’ low and shoulder seasons. If you can, plan your trip around September – November, and March-May. Accommodation in Mauritius won’t hurt your wallet too much either. On Booking.com you can reserve an ENTIRE apartment for two people starting at R360.00 per night! Visiting Europe as a South African doesn’t have to be that expensive. It might not be the cheapest region in the world for us, but there are a few rand-friendly destinations, like Lisbon, where your Rands have a bit more spending power. 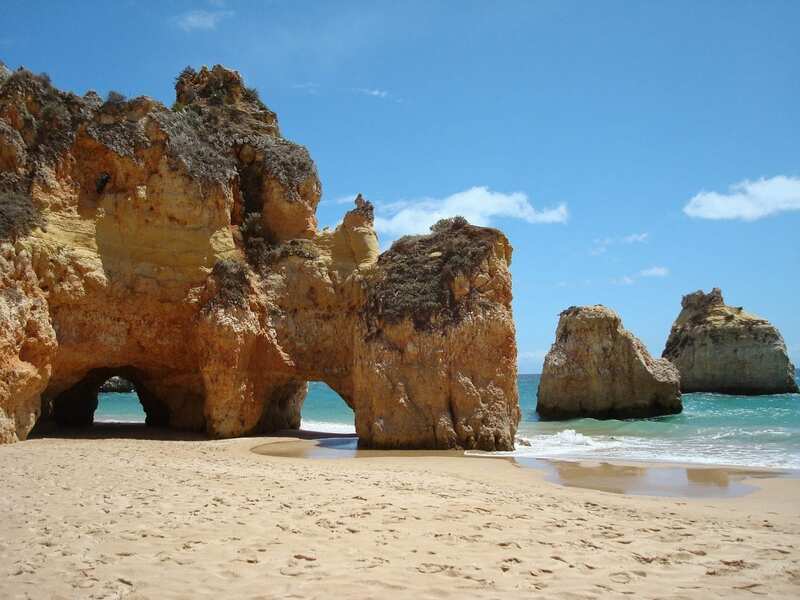 Portugal is usually the cheapest entry point into Europe from South Africa, and it has a lot to offer. From thrill-seeking daredevils to nature lovers, history buffs and social butterflies – the chances of you running out of amazing things to do in this location are slim to none. Stick to the low and shoulder seasons, and you’ll have an easier time finding affordable accommodation and flights. It’s also a good idea to look at exploring regions beyond Lisbon. 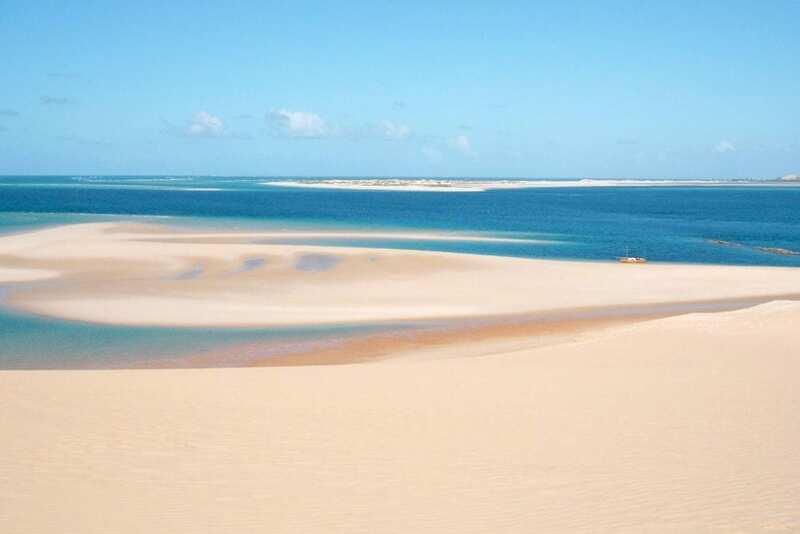 For example, you can stay in São Vicente for under R 200 per night. You’ll be within walking distance of the beach, the volcanic caves and far away from the crowds that haunt the capital city. If you’re on a tight budget and Europe is a must-visit head to the east. It’s full of cheap rand-friendly destinations that will give you more bang for your buck than the west. In Poland’s charming capital city, Krakow, you’ll be able to find apartments in it’s Old Town starting at R 250 per night. Dorm rooms in hostels will set you back R 60 per person per night, giving you more room in your budget to funnel towards other expenses like flights and activities. It’s also possible to explore Poland with only R220 per day (if you stick to eating in milk bars) and see top sights like Auschwitz and Schindler’s Factory. Top attractions: Auschwitz, Wawel Castle, Bialowieza Forest, Slowinski National Park, Wieliczka Salt Mine, St. Mary’s Basilica. It’s not at the top of most peoples travel bucket lists, but it’s one of the best budget destinations in Europe. 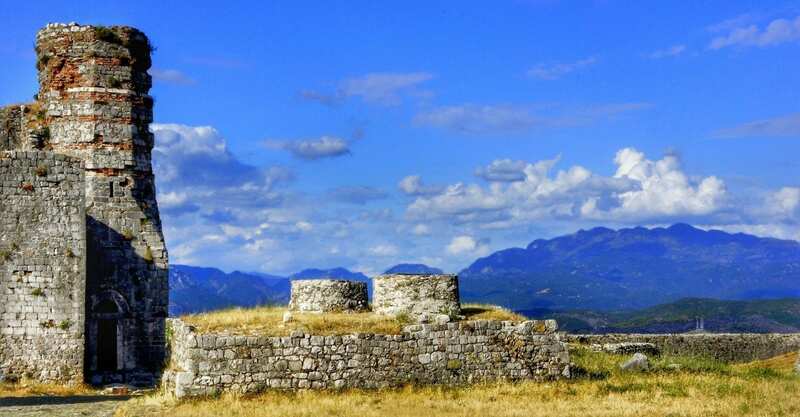 Albania home to buildings that date back to the 4th and 3rd centuries, beautiful national parks and the unspoiled Albanian Rivera. Hotel prices in Tirana start at R 320.00, and a stay at a hostel will set you back R 130.00 per person per night. In smaller towns, hotels cost the same price as a dorm bed, and the local street food starts at R 40.00, making Albania a cheap rand-friendly destination for South Africans. Top attractions: Rozafa Castle, Ottoman Mesi Bridge, The Blue Eye, Et’hem Bey Mosque, Llogara National Park, Butrint National Park. 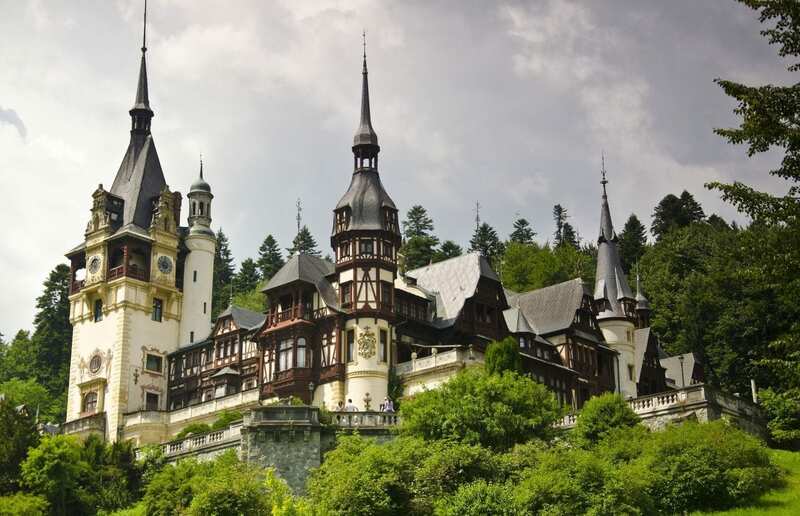 Another lesser-visited European country to visit is Romania. It’s often overshadowed by other popular destinations but is perfect for travelling South Africans on a budget. Plus, the beer in Romania is cheap. Whether you like it on tap, in a bottle or can, a local brew will cost you far less than a pint in Germany or France. It also boasts 7 UNESCO World Heritage Sites, and it has the fastest internet in Europe, making Romania a firm favourite with digital nomads. 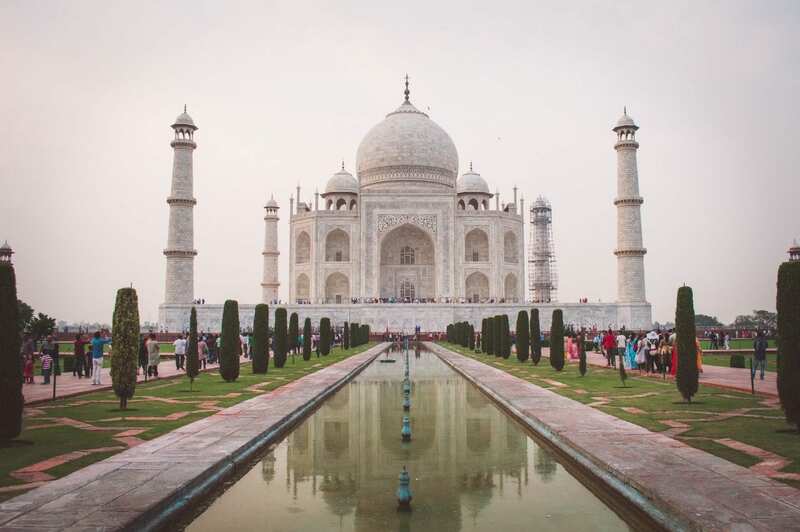 India is one of those destinations that people either love or hate. After my trip in February, I found myself leaning closer towards hate until I started to realise how much I missed the things I loved. I craved my ritual morning Chai tea, the delicious traditional dishes and even the craziness that seems to surround every single tuk-tuk driver. It is by far one of the cheapest rand-friendly destinations to travel to from South Africa, not only with flights but also for food, accommodation, and activities. But one thing is for sure: no matter how long you spend in India, it will leave its mark on you. Top attractions: The Golden Triangle, Backwaters, Mysore Palace, Taj Mahal, the Ganges, City Palace in Jaipur, Abbey Falls. Adventure. Wildlife. History. Unbeatable scenery. 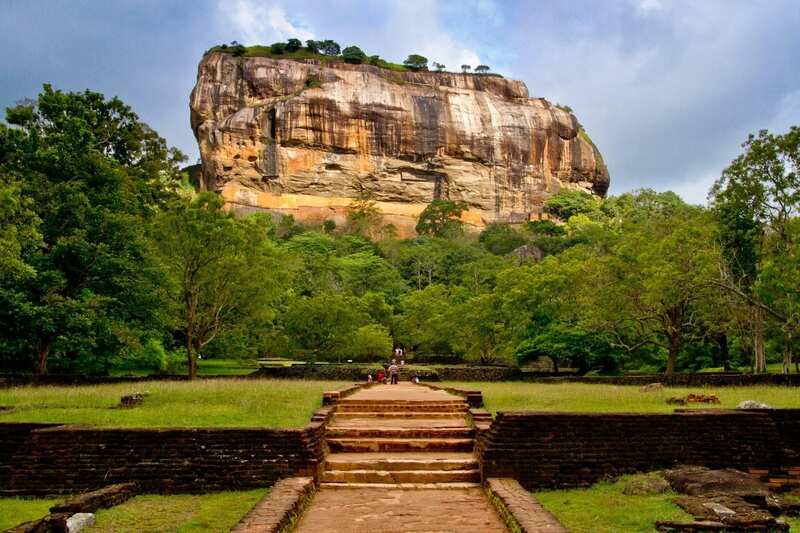 It’s not hard to imagine why Sri Lanka has seduced travellers for centuries. The love affair it sparked in Arab traders led to the island being given the name Serendib which gave rise to the English word “serendipity”. Escape the Johannesburg rat race and hit that recharge button by discovering Sri Lanka’s legendary natural beauty, its wildlife-rich low-land jungles, or some of its two thousand years of recorded history. Expect to budget between R400 – R600 per day for accommodation, food, drinks and transport. Hostels aren’t that common, but you can find excellent homestay deals which only add to an authentic travel experience. 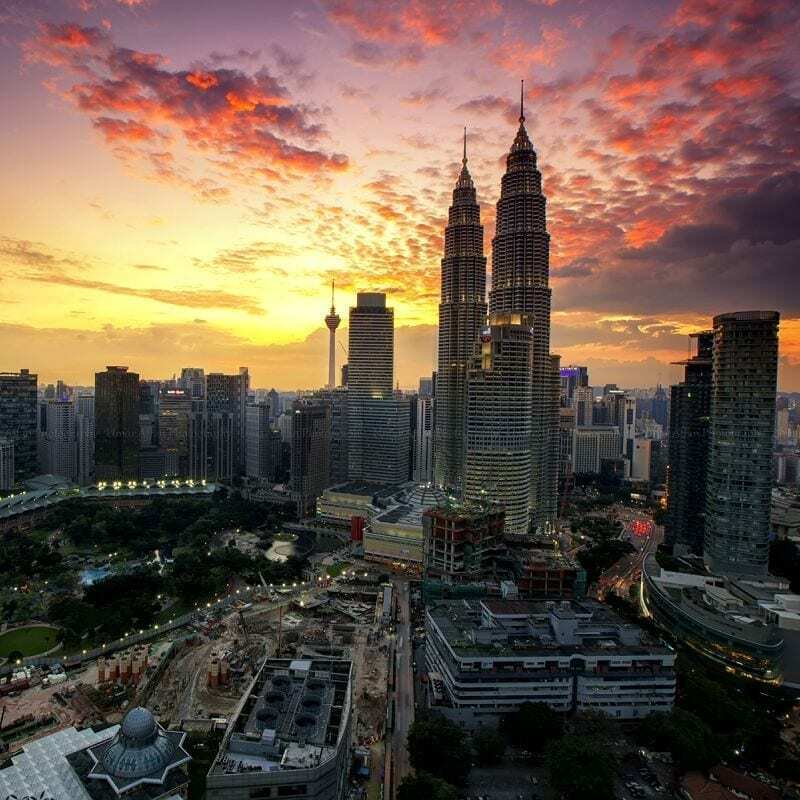 Malaysia is a melting pot of Chinese, Indian and neighbouring Southeast Asia cultures all coming together in the best way possible – delicious food. Spend your break lounging about on deserted beaches, hiking for orangutans in ancient rainforests, white river rafting or exploring its hybrid culture. While our Rand is not that strong against the local currency, it’s still a cheap rand-friendly destination due to the country’s low cost of living. Frugal travel for the win! Visa for South African passport holders: Free 30-day visa on arrival. 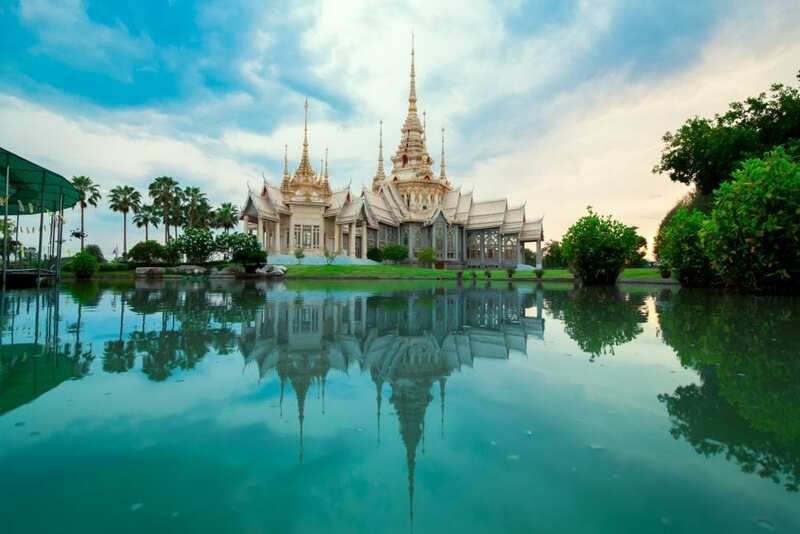 A cheap rand-friendly destinations list for South Africans would not be complete without Thailand. Flying into Bangkok is the perfect starting point for whatever type of holiday you want to get out of Thailand. Head down south to explore the famous islands, full moon parties, and world-class diving spots or go further north and discover the traditional hill tribes, lush rainforests and epic rock climbing routes. Bangkok is usually the cheapest entry point into Southeast Asia from South Africa. It’s the perfect spot to start a backpacking trip across the region or explore the whole country from north to south. Vietnam has a reputation for, well, being batshit crazy. It is the epitome of organised chaos, especially in busy major cities. But that is not a reason to miss out on this South East Asia country. Vietnam is an epic destination with a mix of adventure, culture, and history you won’t find anywhere else. It’s an obvious choice for history buffs who want to explore the Cu Chi tunnels, but also great for coffee lovers, adventure addicts, and self-professed foodies. 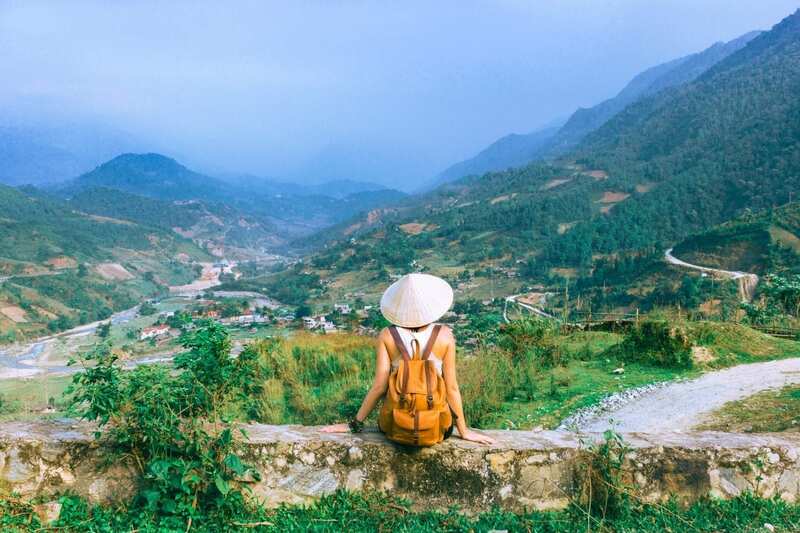 Vietnam is also a dirt cheap rand-friendly destination for South Africans on a budget. Meals in restaurants are between R 21.00- 65.00, dorm rooms cost around R 80 per night, and you can get a private double room from R180.00 for one person. Which of these cheap rand-friendly destinations from South Africa are you going to explore? Thanks for that link! I haven’t heard of that site before. Where in Moz are you planning on going? Hey Morne! This post is from 2016 and the prices have changed since then. There were some cheap summer flights for these destinations back then. I did mention that those were prices I had found that week.